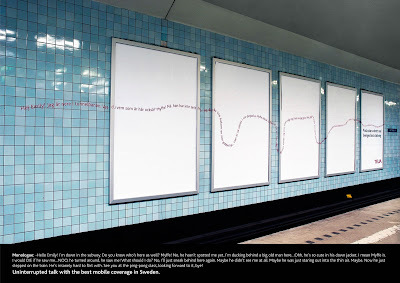 The copy says "Uninterrupted talk with the best mobile coverage in Sweden". I like that they used the five billboards as one canvas. Nice.